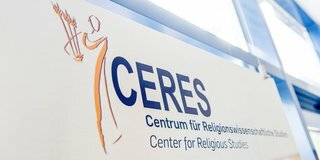 Ulf Plessentin: March 9, 2016, 2:38 p.m.
On 1 March 2016, the first plenary meeting of all members of the Center for Religious Studies (CERES) took place. The plenary meeting was attended by professors, scientific assitants, administrative assistants, and students alike. The meeting was called since CERES became an indepedent body by leaving the faculty for Evangelical Theology in October 2015. The latter was elected by the women's plenary. Following-up the pleanry meeting, the directorate hold its first meeting. The members of the directorate entitled to vote elected Prof. Dr. Volkhard Krech as director of CERES. Prof. Dr. Carmen Meinert was choosen as deputy director.